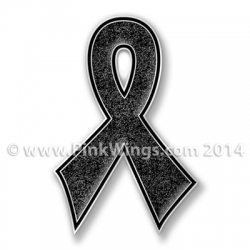 The black ribbon represents Melanoma Cancer Awareness. This is a 1 1/4" great quality Cloisonne pin. The black is glitter.